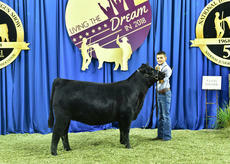 Photo by Pearls Pics, on behalf of the American Angus Association. 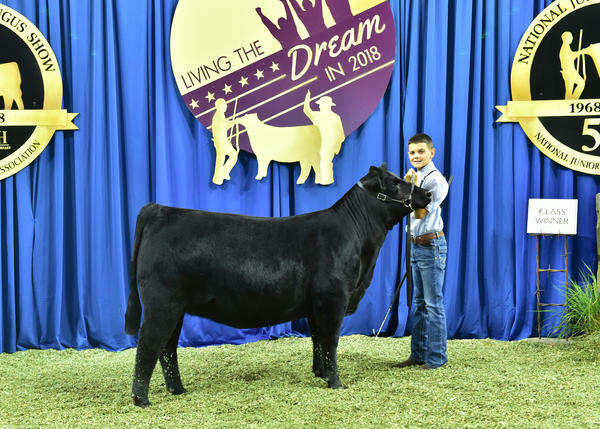 Voyager JF Georgina 867 won the bred-and-owned heifer class 6 at the 2018 National Junior Angus Show (NJAS) on July 10-13 in Madison, Wisconsin Jacob Marksbury of Buffalo owns the winning heifer. 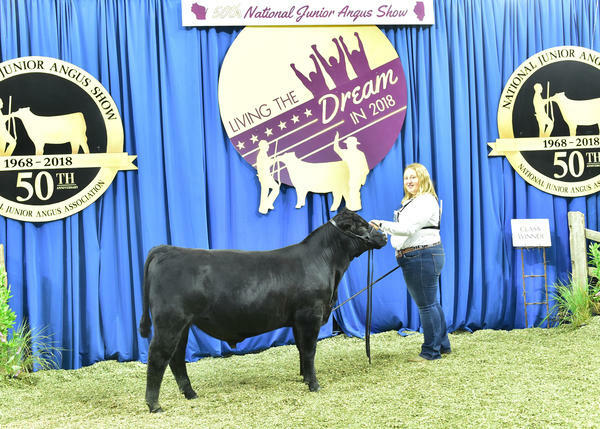 R & K Fullback 107 won bred-and-owned bull class 1 at the 2018 National Junior Angus Show (NJAS) on July 10-13 in Madison, Wisoinson. 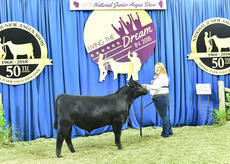 Kalli Flanders of Buffalo owns the winning bull.